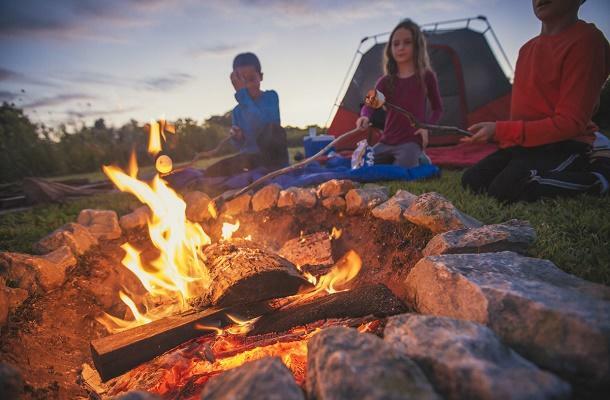 Knowing the do’s and don’ts of camping can make the world of difference when taking your family out into the wilderness. No matter how experienced an adventurer you are, you will always run into a problem or two while camping. Check out these ten things to avoid doing while camping to help make your next camping experience more enjoyable. For all campers, every new adventure you take on with Mother Nature is bound to have a few new surprises here and there. One day she could be your best friend and on another your absolute worst enemy. But no mater what Mother Nature you get, you can’t let her get the best you when it comes to camping. Camping is one of those activities that you both love and will brave whatever elements are in store for you, or hate with a burning passion because the great outdoors simply don’t suit you. Then there are those who live life right on the fence because every camping trip they’ve ever participated in has seemingly gone to hell. We’ve all been there. Whether we’ve forgotten to pack enough layers, bent one of the tent poles and slept in a disfigured tent, or didn’t bring enough food, it’s all enough to turn you off from camping for a very long time. Benjamin Franklin (a good friend of mine) once said; “By failing to prepare, you are preparing to fail”, and I am a firm believer in that. By knowing what to do or what not to do can make or break your camping trip before it’s even started. So without further ado here are 10 things, based on my experience, that you should avoid doing while camping. 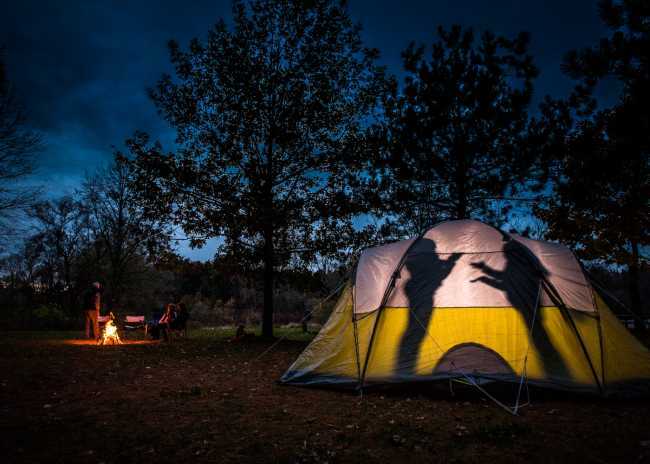 Unless you’re camping at an isolated campground with no other campers within sight, you are going to want to avoid arriving at your campsite in the heat of the day, or the dark of night. The thing about camping is that it takes a lot of work to setup your campsite and it can produce a lot of noise in the process. Arriving at your campsite in the heat of the day is just foolish. The last thing you want to do is set up a tent, start a fire, organize your belongings, and get the family all settled in while it’s a blistering 40 degrees out. It’s best to come in the morning before the afternoon heat hits. Showing up in the dark of night might be just as foolish as setting up in the heat of the day (in my opinion). If there is one thing that campers cherish, besides experience nature of course, it’s their sleep. You showing up a couple hours after sunset driving your loud truck and giving orders to your family to get set up while waving a flashlight around isn’t going to make you any friends in the process. Camping at a campground is a social activity and during a long camping trip you are going to want all the friends you can get to enjoy outdoor activities with. The flashlight is seemingly a child’s favorite thing to play with while out on a camping trip. From making shadow puppets against the tent wall to telling scary tales around the campfire, children cannot get enough of them. We adults know this, but every single time we adventure in the great outdoors we only pack one source of lighting with no backup in mind. Not packing enough lighting to take with you on your camping trip can have a huge impact on your camping experience. Nature could come calling and you could be without your guiding light, rain could damage your lanterns, or those “everlasting” batteries that you bought at the mini-mart up the road could magically die. Don’t cheap out when it comes to lighting. Be sure to pack enough spare flashlights and lanterns, maybe bring a small generator as a backup source, and keep an eye on kids shadow puppeteering if you know you aren’t sure how long the batteries will last. One man, two man, three man, four. With so many different styles of tents out there it is very easy to get confused and caught up in the jargon camper’s use. Do you buy a three man tent literally meant for three bodies, or a three man tent meant for three bodies and camping bags? Whatever your case may be, be sure to do your research and determine a proper size of tent(s) that is going to suit your needs. There is nothing worse than blindly buying a “big” tent, to arrive at your campsite to find out that it can barely contain you and your wife while Big Joe and family have all the room in the world one campsite over. Whenever in doubt buy that bigger sized tent, your legs will thank you in the morning. Before you head out camping, set up your new tent at home to make sure it’s big enough and so you have some practice so you can breeze through the set-up on the campsite. Leaving all your food unattended or out in the open while camping is like watching your two young kids rifle through the groceries you just brought home with no regard of the mess they’re about to make. If that image alone doesn’t frighten you to pack away your food while camping, the image of all the wildlife you and your family will have to contend with will. For some reason people think it’s enough to simply cover their food in a tarp or to throw all of their meals stored in re-sealable plastics bags into a garbage bag and no animal will notice. If you do that, you’ll need to be very good at hunting or fishing for your next meal. Be sure to store all of your food and leftovers in air tight containers and put them in the trunk of your vehicle. If a wild animal can break into your car and some air tight containers to get that food, well kudos to them; you may also want to think about camping somewhere else. I’ll tell you first hand that there is no better thrill then carelessly throwing dry leaves, paper, plastic wrappers, and anything else within reach into a campfire. I’ll also be the first to tell you that there is no worse feeling then telling your parents, campsite neighbors, and campground supervisor how that fire spun out of control so fast and almost recreated a scene from Inferno. Now I’m not saying not to throw a log in the fire to keep it burning or to turn a log from time to time, but I am saying DONT give into the urge to see how a firework would react when thrown into a pit of fire. There is nothing worse than getting stuck in a rut and slowly getting sick of your food, which happens often while camping. 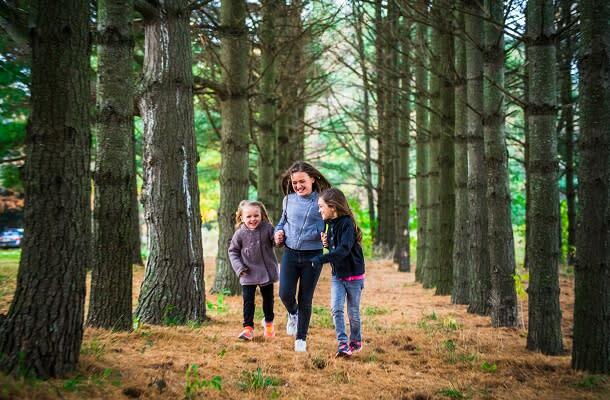 Just because you are going out to enjoy all that Mother Nature has to offer, it does not mean that you have to limit yourself to hotdogs and s’mores for a week straight. 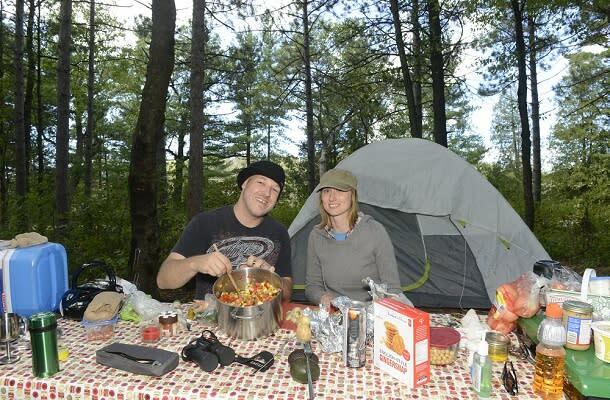 A big part of camping is the creativity behind creating different meals from sometimes unordinary combinations. Get out of your comfort zone a little and experiment with some different meats, vegetables or baked goods over a good ole fashioned campfire. Try a pie iron pizza! Letting loose and getting wild is something that we all need to do from time to time and camping is a great way to do that. From the warm weather, beautiful sights and the cold beer it can be pretty easy to lose track of how much fun you’re having and ignore what is happening in your surroundings. 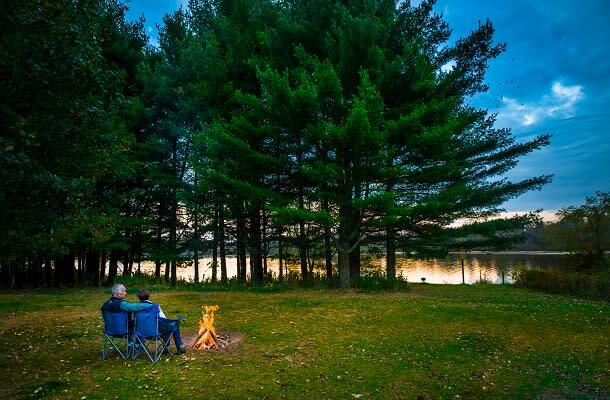 Many campgrounds have designated quiet times where they expect all campers to dial down the noise and keep conversations and activities to a minimum. People want their peace and quiet, and speaking from experience you better give it to them. It might not seem like it when you’re there but sounds have a way of quickly and loudly travelling across a campground. We’ve all been there - one too many drinks or one extra song around the campfire. There’s a time and place for that kind of stuff, and after 10pm at most campgrounds isn’t the time to do so. Think of walking through another camper’s campsite as that telemarketer who always calls during supper- infuriating isn’t it? Campers always expect some level of privacy while out in the wilderness and you should give it to them. Nothing worse than watching an absolute stranger heading towards your campsite only to use it as a short cut to the lake while you’re trying to enjoy a meal by the fire. Just remember – Don’t Tread on Me. 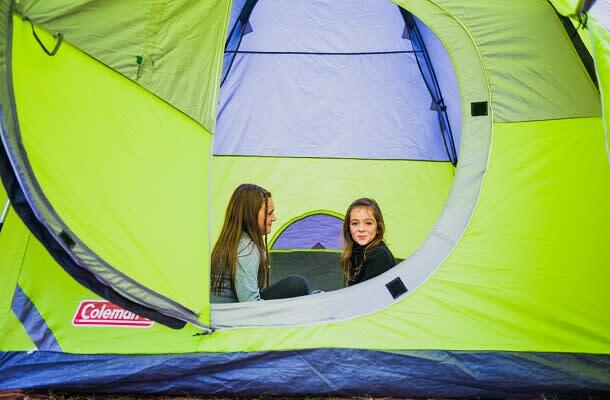 Probably the most important rule of camping – don’t forget to have fun. Sure spending a weekend out with Mother Nature can be expensive, stressful and borderline crazy, but not enjoying yourself while doing so is only going to make things worse. There is so much that a camping experience can offer you, if you don’t take the time to slow things down, put down your phone, and enjoy the nuances of it, you are going to have a forgettable trip. Camping and life are two very similar things. They’re not about the number of breaths you take, but rather the number of moments that take your breath away. Enjoy them. Alright so I can’t tell you what to do and I am no camping expert by any means of the imagination, but to not go camping in Southwestern Ontario is just a bad move. There are over 62 different locations suitable for outdoor camping in all different shapes and forms, from traditional tent camping, to glamping, to ranches and trailer parks there is sure to be a spot and form right for you. Not to mention of 900 kilometers of Great Lakes shoreline and countless waterways!